Honor 8X equips a narrower smaller V-shaped notch at the top that resembles that of the Essential Phone and Oppo F9. We aren’t quite sure if this waterdrop-like notch setup will be present on the Honor 8X but if it does, the screen-to-body ratio of the phone will be quite high. 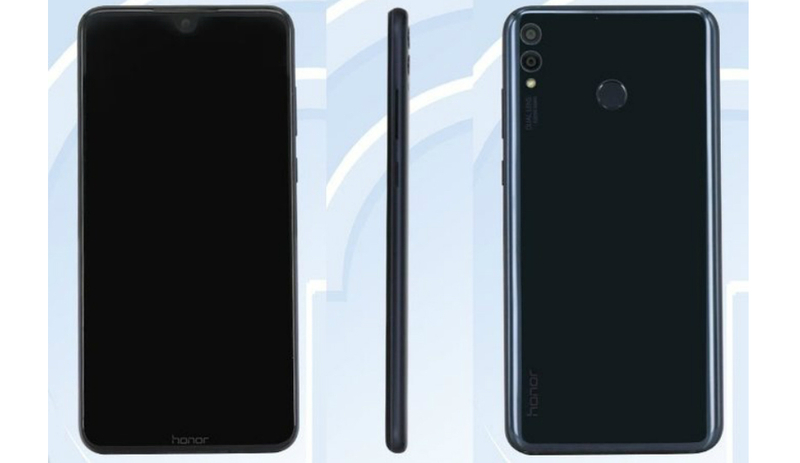 Chinese regulatory platform TENAA has certified the Honor ARE-AL00, which in turn is expected to be launched as the Honor 8X (or 8X Max, or 8S depending upon where you are in the world). The 8X will be the successor to the Honor 7X which gained momentum as Huawei’s cheapest and well-rounded budget offerings early this year. The latest TENAA spotting has revealed not just how the upcoming device looks like but also the internals that indicates this will be a mid-range phone. Right from the start, you’ll notice the design elements of the Honor 8X which now equips a narrower smaller V-shaped notch at the top that resembles that of the Essential Phone and Oppo F9. We aren’t quite sure if this waterdrop-like notch setup will be present on the Honor 8X but if it does, the screen-to-body ratio of the phone will be quite high. Minimal bezels and tiny notches are okay but still doesn’t speak for larger screens as much as a 7.12-inch display does. Yes, the next Honor device might as well be larger than your tablet but manages to do so in a 177.57 x 86.24 x 8.13 mm form factor. Because of the unusual size of the display, the aspect ratio has been moved to 18.7:9 and the screen resolution is 2244 x 1080 pixels. The Honor ARE-AL00 weighs in at 210 grams and the weight is not just from the larger screen but also the massive 4,900mAh battery which is expected to pack enough juice for the rather large phablet. The device is expected to come powered by a 1.8 GHz processor, so possibly a Kirin 710 or Snapdragon 636/660, which we’ve come to know will be paired with 4GB RAM and 64GB of internal storage space. There’s a dual 16MP+2MP camera setup which is vertically placed at the back while an 8MP sensor carefully sits on the front, tucked away above the V-shaped notch. Previous rumours have also established that an 18W fast charger will be bundled with the phone, which will be the first time Honor will bring such a technology to its budget offering. With all that revealed, it’s only a matter of time till Huawei announces the Honor 8X which we expect won’t take that long. Nova 3i: Is Huawei competing against its own mid-range Honor smartphones?